THIS CLASS IS TEMPORARILY SUSPENDED! 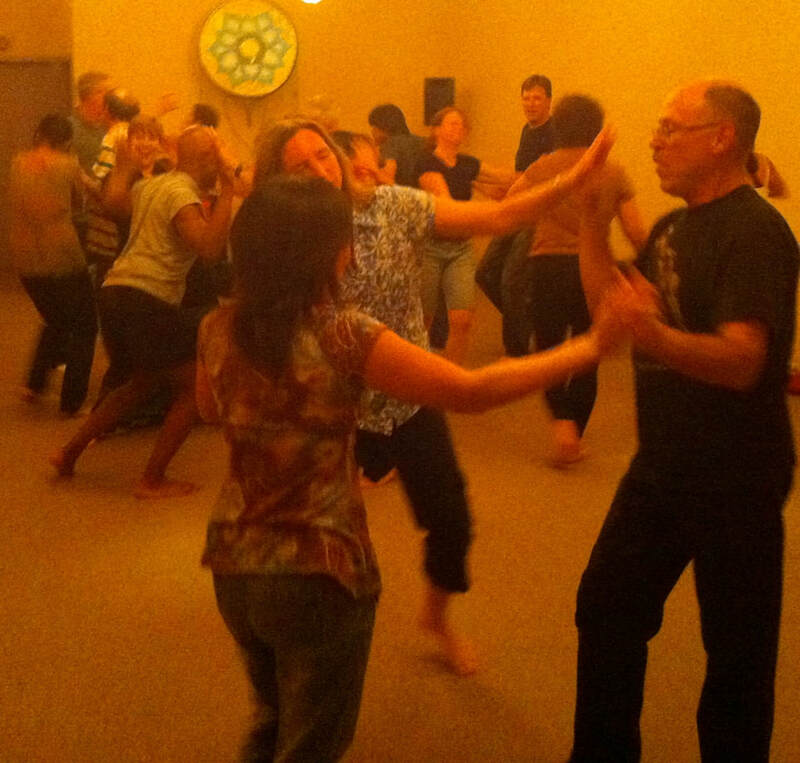 We learn and share through movement, dance, touch and words; drawing on principles of Contact Improv, but this is not a CI class. Our intention is to build relationship skills through the arena of free-style dance. A 'connection catalyst', Harmony helps people Be authentic, and connect and relate with others genuinely and satisfyingly. Harmony brings a light-hearted, engaging, infectious energy to dances, classes, workshops and groups. She is a sensitive, yet confident leader, who guides others safely, gently and irresistibly to 'shine', and then confidently connect with others, both on and off the dance floor. Harmony is a 'Radical Aliveness' coach in the Bay Area, and has been an active member, teacher, and guide in the freestyle dance community since 1996.